I was asked recently why I don’t say “Jesus Christ is my Lord and Savior” more. I think I don’t use that phrase much because of my experience with that phrase. In my youth that phrase was used as a litmus test of sorts, a shibboleth for those of you familiar with that term (or familiar with West Wing). Saying “Jesus Christ is my Lord and Savior” was like the secret password into a club that I wasn’t so sure I wanted into. All that phraseology was just noisy gongs and clanging cymbals to my ears. I wanted to know what they thought spiritual warfare was and if they’d be “fighting it” if they had never been introduced to the concept. I wanted to know what they thought being a “soldier for Christ” meant in every day life. I wanted to know what they thought they were doing when they were “working a blessing” or what conclusions we’re to draw when we pray and pray and pray and the pain remains. I didn’t want talk to be cheap; I wanted it to mean something. I want it to mean something. Because, and this is the thing, Jesus Christ is my Lord and Savior. But that sentence needs so much explanation around it for me, that just saying it to you or anyone else will not do, I feel. Because just saying it to myself doesn’t do it. And no doubt people say that phrase and say it with utmost sincerity and face value; I truly believe it. And I can speak that language, too, with much sincerity. So, is Jesus Christ my Lord and Savior? Yes. Am I going to start adopting that language? Probably not. But I will say that my trust in God is deeply rooted in the Christ event. And, believe it or not, I think that’s approximately the same thing. I could say it another way, but it wouldn’t be authentic to me. And I prefer not to. It’s not how my spirituality is formulated. My spirituality is formulated with deep roots in experiences and connection that don’t lend itself very well to short phrases like this, I find. I’m much more Richard Rohr than Rick Warren. That doesn’t mean either of those spiritual realities are “better” than the other one (how could we measure that, anyway?). But it does mean that they present themselves differently. And with a Christian history that needed a St. Julian as well as a Thomas Aquinas, that needed a Martin Luther as well as a Meister Eckhart, why should the fact that I don’t express my faith with these phrases, and that you do, cause us dissension? So many churches are full of just Julians or just Luthers, just Rohrs or just Warrens. What if we actually practiced radical community where you could lift your hands in praise while I fold mine in reverence and neither got annoyed with the other? What if we actually practiced radical community where you could claim Jesus as your Lord and Savior and stretched my comfort with that phrase, and I encouraged you to parse that a little more to go a bit deeper than just phrases. Because, and here’s the biggest thing, I don’t want any of our talk to be cheap…even our talk about community. And Lord knows we don’t need more clubs in this world. And I’m a reluctant Christian many times because our clubs dot the streets, and our communities are few and far between. This entry was posted in Heavy on the Jesus and tagged Church Insiders, Community, Jesus, Rick Warren by Timothy Brown. Bookmark the permalink. As always your writing leaves me thinking, musing, and appreciating.. 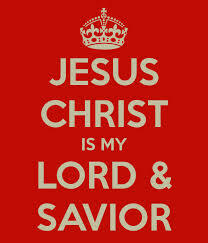 I am very comfortable with Jesus Christ is mY Lord and Savior. I didn’t grow up with it. But you are spot on. We need to be communities that welcome all, I long for main line churches to take make, not take away from but claim the term, Christian. We should all share it. I struggle with my own judgements of those who are so judge mental, lest I become one. My famous line after a discussion where I had been rather critical of fundamentalists, I was asked when has fundamentalism ever hurt you ? I replied,’I’ve been hurt by fundamentalism, I just can’t tolerate their intolerance! I groaned and we laughed, then later I wrote my friend a long email and told himI have been hurt by fundamentalism by the very nature of being a woman, I have been other end all my life and also abuse from the hands of my father who was raised by fundamentalism. My friend totally understood and we hold each other’s beliefs with respect. Thank you. Wow, what a beautiful explanation of our trouble with community that I didn’t even expect at the end of this! I had the opportunity to experience this firsthand in my small group last night where one of the leaders (and a couple of members) seemed quite intent in establishing that this was, as you say it, a “club,” where one and only one school of thought was accepted as truth, and all other opinions must be refuted. Thankfully another one of the leaders caught onto this and addressed that our community should be a place of open discussion where each can define for ourselves what we deem to be certain and right. What beautiful timing this blog post is! Great work, Tim. Very well spoken, sir. I agree wholeheartedly. Hi Tim. I love the way you express in writing, what so many of us think. In the last year or so, the Lord has done something new in my heart, somehow softening to me and making me much more accepting of other believers as well as non believers. Thanks for writing from your heart … guess there are many more like minded folks out there. Wow, your last bit about the difference between community and club blew me away! I’m going to ponder that today, but I think it made some things just make more sense.